Garmin eTrex Legend Cx global positioning system includes removable memory, making it easy to pack light and add maps on the go. The eTrex Legend Cx GPS satnav is loaded with the same popular features found in the eTrex Legend CX, including sunlight-readable color and advanced GPS routing capabilities. The Garmin eTrex Legend Cx is waterproof design. Garmin Legend Cx has been discontinued. Accessories are still available for your eTrex Legend Cx click here. The handheld Garmin eTrex Legend Cx satellite navigation system comes with a blank 32 MB microSD card for storage of optional map detail. Download Garmin GPS navigation maps directly to the handheld GPS systems' card or purchase microSD cards preloaded with MapSource TOPO and inland lake maps, BlueChart marine cartography, and City Navigator NT street maps. Do you have a question about the Garmin eTrex Legend Cx or other handheld GPS related question that's not been answered on this webpage? Please see our handheld and Outdoor GPS FAQs page for questions from other customers.Plus if the answer to your question isn't featured, use the online form to ask us for the answer. Alternatively please telephone 01733 777623 Monday to Friday (9:30am-5:00pm) to speak to one of our sales team. MapSource Trip & Waypoint Manager CD, PC/USB interface cable, Wrist strap, Bike clip, Quick reference guide and Owner's manual are included. The Atlantic Recreational Routable Basemap v2 includes Europe, extreme western Russia, Africa, and the Middle East. Looking for accessories and spares for the Garmin eTrex Legend Cx? 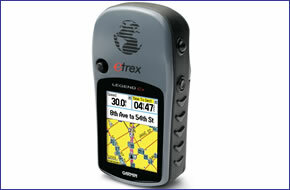 All parts are genuine Garmin product and specifically designed for use with the handheld Garmin eTrex Legend Cx device.